CDL-A Owner Ops: Find Success at Summit! Large Freight Network, 75% Drop & Hook, Lots of Extras in the North Las Vegas, NV area! CDL-A Drivers: New Units Arriving Now in the Holly Springs, MS area! Solid Customers = Solid Miles! Excellent Earning Potential! CDL-A Drivers: All Our Extras Add Up At Summit! Now Hiring in the Riverside, MI area! New Units Arriving Monthly! Heavy Miles! CDL-A Drivers: All Our Extras Add Up At Summit! Now Hiring in the Burlington, MI area! New Units Arriving Monthly! Heavy Miles! CDL-A Drivers: We Know Teams! Top Team Miles, Team Dispatchers, Excellent Earning Potential in the Olive Branch, MS area! CDL-A Drivers: All Our Extras Add Up At Summit! Heavy Team Miles! New Units Arriving Monthly in the Farmington, MI area! CDL-A Drivers: All Our Extras Add Up At Summit! Now Hiring in the Arlington, OH area! New Units Arriving Monthly! Heavy Miles! 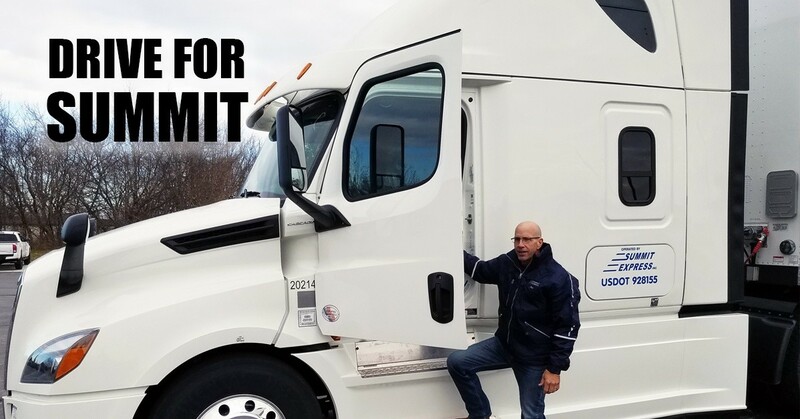 CDL-A Drivers: All Our Extras Add Up At Summit! Now Hiring in the Millbury, OH area! New Units Arriving Monthly! Heavy Miles! CDL-A Drivers: Home In About 10 Days; All Our Extras Add Up At Summit! New Units Arriving Monthly in the Youngstown, OH area! CDL-A Drivers: New Units Arriving Now in the Bryan, OH area! Solid Customers = Solid Miles! Excellent Earning Potential!